NLP was co-developed by Richard Bandler and John Grinder in the mid 70’s when the two met at Santa Cruz University in California. Grinder was an assistant professor in linguistics and Bandler was studying for his Masters in computer science. 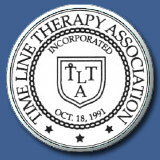 Bandler and Grinder modelled the leading people of the time in their various therapeutic fields. World renowned gestalt therapist Fritz Perls, brilliant family therapist Virginia Satir and world leading psychotherapist and hypnotherapist, Milton H Erickson. Bandler and Grinder spent thousands of hours studying and working closely with these three in an attempt to unpick exactly what it was that made them great. They then set off to show that their success could be modelled and thus replicated. In doing so they created a set of guiding principles, attitudes, and techniques about real-life behaviour which allow people to change, adopt or eliminate behaviours, as they desire, and give them the ability to choose their mental, emotional, and physical states of well-being. 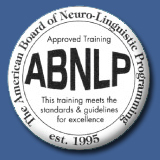 NLP contains a set of very practical techniques based on an ability to remove any limiting beliefs and then produce your desired results, thus allowing you to become proficient at creating your future. With NLP, you learn how to grow from every single life experience, thus increasing your ability to create a better quality of life with new, flexible resources. Unpicking this definition, the attitude of NLP is one of intense and excited curiosity. It involves a desire to want to know what goes on behind the scenes. What makes the human mind work. 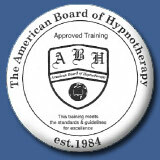 An attitude of experimentation, trying new and different things in order to achieve outcomes. The methodology involves modelling others and that modelling led to the discovery of a trail of techniques. 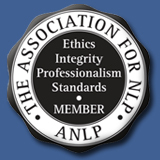 NLP is essentially about modelling what works, that is how Bandler and Grindler originally created NLP, looking at what was the difference that created the difference in the work of great therapists. The objective of NLP is not to end up with one right way to do anything it is about increasing choice in how to deal with situations using the technology of NLP. The context of NLP concerns accessing the mindset, state and skills necessary for understanding and bringing about succesful communication and personal change. As such it concerns how processes work with the focus on what does work and how we can model it. NLP places a strong emphasis on understanding the structure and process of, rather than the content of, experience. In other words NLP is interested in how people construct their experiences through cognitive processes, rather than in seeking causal explanations in the past for why they experience the world as they do, or in the contents of a particular experience. For example, in their original study Bandler and Grinder suggested that effective therapists appeared to match certain language patterns used by their clients. Bandler and Grinder concluded that, `One of the systematic things that Erickson and Satir and a lot of other effective therapists do is to notice unconsciously how the person they are talking to thinks, and make use of that information in lots of different ways’ (Bandler & Grinder 1979 p.10). NLP can be said to be a field of practice and innovation with a wide range of tools and techniques that learners can apply within both formal and informal settings. This means that NLP can be utilised in many different areas of people’s lives, in fact anywhere that requires effective communication skills or personal change.